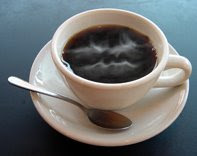 The Coffee Curmudgeon: Life without my girlfriend, or "what the hell do I do now?" Life without my girlfriend, or "what the hell do I do now?" As I type this, my significant other is off on a Contiki tour of Europe and, last I spoke with her, she was winding down after an evening spent at the world's largest beer (bier) garden in Munich, Germany. Naturally, I miss her in all senses of the word, but I'm getting antsy. 1. Sit around, search digg.com for interesting news stories. 2. Drink day-old coffee quickly. 3. Proceed to study for the CPA exam intently thanks to a caffeine-induced interest in success. 4. Explore music blogs. Reaffirm that La Roux is awesome. 6. Watch random David Duchovny movie called "The Secret", which was apparently published abroad. Appreciate it for what it was: semi-decent. 7. Fix fixed gear, go on 17 mile ride, forgetting that Portland is all hills. Almost die trying. 8. Sit around, search digg.com for interesting news stories. In other words, I've managed to bore myself by hanging out with only myself. I'm still partied out from celebrating graduation continuously for the past two weeks and am trying to get in better shape for the GF when she comes back. Alone time is good, but it's better if your best friend is right there with you by your side. She comes home in about two weeks and I can't wait. Meanwhile, I'll just keep reading Pride & Prejudice & Zombies. P.S. David Sedaris on audiobook is the best thing to happen to bike rides since padded gloves. Love his stuff. Listening to "Me Talk Pretty One Day" currently, switching to "When You Are Engulfed In Flames" as soon as I'm done.